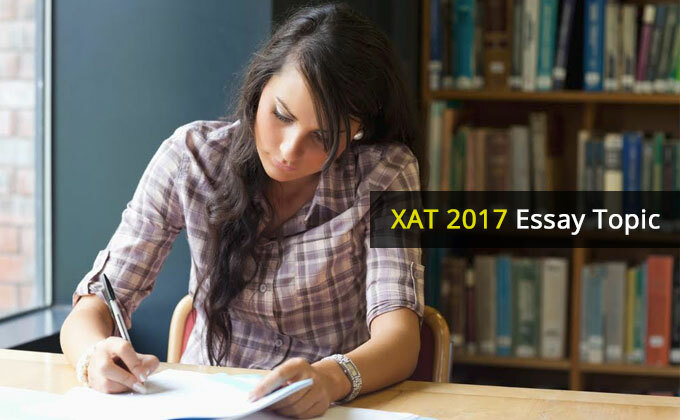 XAT 2019 will be conducted in January, 2019. XAT or Xavier Aptitude Test is the entrance exam organized by Xavier Labor Relation Institute (XLRI), Jamshedpur. The road to success is not smooth but fraught with hurdles, unpredictability, dangers and risk. The high risk of failure, especially with new initiatives, can dishearten the most spirited of people. As a result, people tend to lose their interest and focus and ultimately quit. While setting out on a new project or a business venture, commitment is required to see the project or business venture through. Just as a personal relationship flourishes with commitment, a goal requires to be pursued with complete commitment, to realize it. Lack of commitment has led to many good ideas being frittered away only because people did not pursue them with conviction. A goal which cannot sustain your interest for a long time presents a problem because it is very difficult to retain the commitment for it. It is, therefore, important that you set your goals carefully and systematically so that you don't have to regret later. If the work is such that it itself sustains your interests, then you will enjoy doing it inspite of the difficulties and never feel bored of it. Failures can crush the positivity in a person. The initial excitement of doing something new can give way to dejection and disappointment if success is not achieved quickly. The motivation levels can dip significantly. It is in this scenario that the character of a person is known. A person who keeps working hard and doesn't let his/her motivational levels dip is more likely to emerge as a winner than a person who doesn't believe in what he/she does and therefore lose interest. Single minded focus, determination and self-belief are qualities of a winner. A winner turns every hurdle into opportunities as opposed to an ordinary person who gets intimidated by the slightest of troubles and tends to give up easily at the first instance. The best way of dealing with a tough situation which tests your spirit and motivational levels is to not complicate things and to keep it simple. Instead of brooding over the difficulties and things that have gone wrong, if you focus on the positives and the ways to improve, you will find yourself on the right path of winning. Recognising and removing things which have a negative impact on the outcome goes a long way in developing the winning attitude. Sometimes, the winning attitude helps you tide over difficult times and retain your faith, especially when the work does not interest you. Lastly, for people who think a lot, it's time to act. To be successful, you need to work hard, stay committed and persevere, particularly when the times are tough. Success tastes sweeter when you achieve it after hard work.